Montenegro became independent of the Ottoman empire in 1878 and a kingdom in 1910, with its capital at Cetinje. It merged with Serbia after the First World War and remained within the various embodiments of Yugoslavia until achieving full independence again in 2006, with Podjorica the capital city. 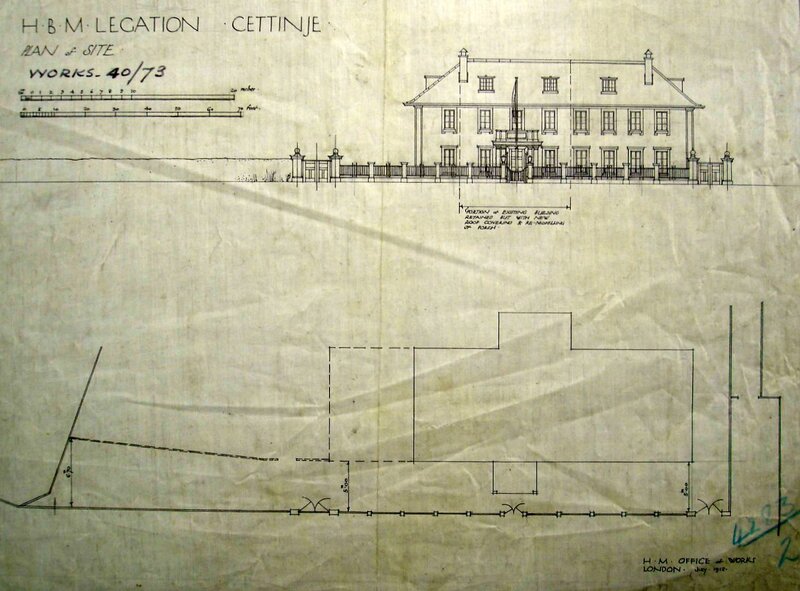 The chargé d’affaires Post at Cetinje became a legation in 1911. A line of four small houses close to the royal palace was bought in 1912 at Katounska Street for £6,000 from Herr Gisbert von Pilgrim Baltazzi. 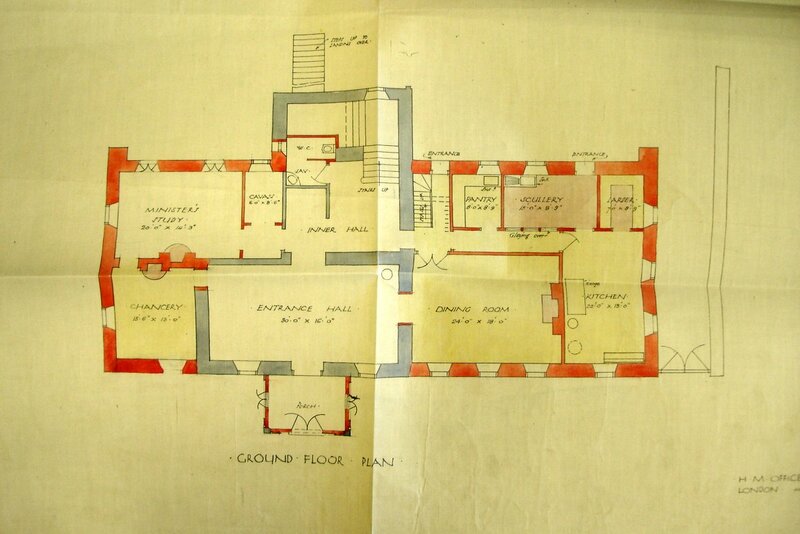 The Office of Works then spent £5,000 on extensive remodelling and adaptations, designed by one of its architects, Julius Bradley, to create a legation house. Work on the site came to a standstill when the First Balkan War broke out in October 1912 but direct labour, including Turkish prisoners, was later drafted in and the work was completed in 1914 under the supervision of the Office of Works’ clerk of works W C D’Harty, who was then arrested and only narrowly escaped internment. Richard Allison, the principal architect, was making the final inspection of the work when the First World War broke out. A presentation drawing of the scheme by Palmer-Jones was exhibited at the Royal Academy in 1916: the building’s fenestration and roof with wide eaves was characteristic of the Office of Works manner of the time. The house was never occupied, except by a vice-consul from 1924 to 1926. His Post was then transferred to Graz and the house put up for sale for, the Treasury stipulated, not less than £4,350. 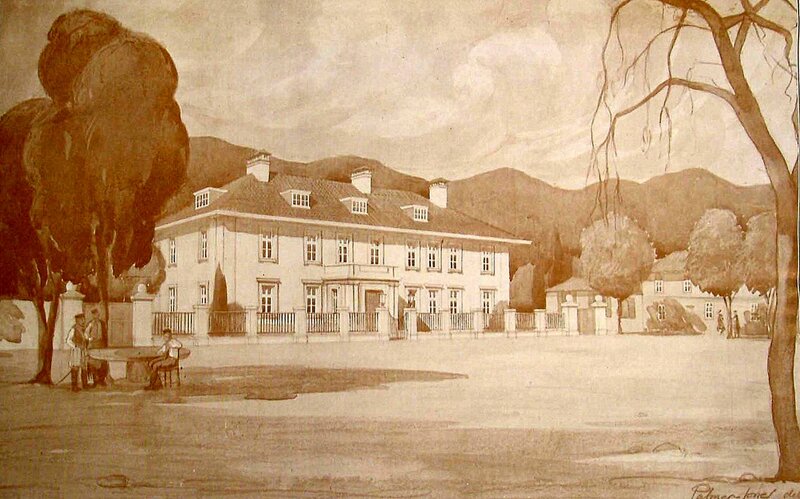 Various unsuitable offers were received before the house was sold to a Mr Martinovic for £2,000 in 1928. The furniture and fixings had earlier been disposed of: the only fittings to be sold with the house were two curtain rods, 6 venetian blinds and 24 stair rods. The house is now the Music academy of the University of Montenegro. Perspective by Palmer-Jones of proposed legation, 1912. 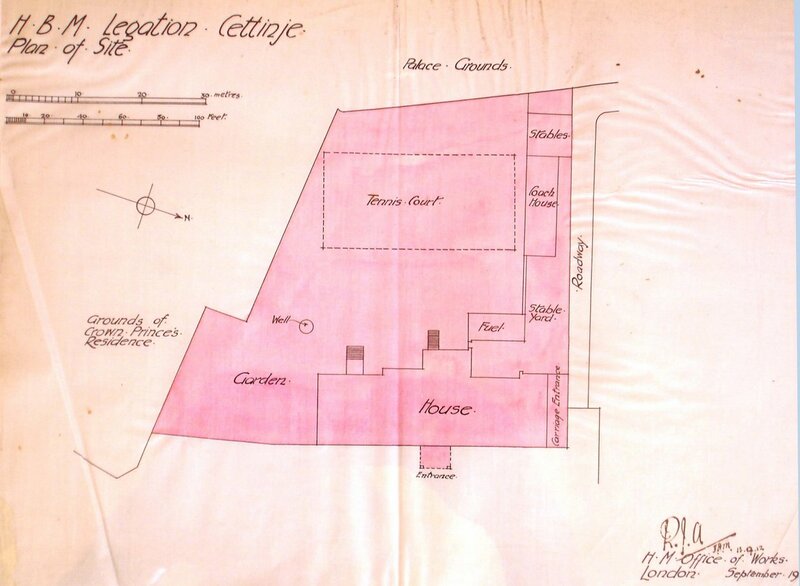 Siteplan of proposed legation, 1912.